I’ve done case studies in the past of slower growing, highly profitable businesses such as Clorox, Nestlé, Coca-Cola, Procter & Gamble, and Colgate-Palmolive among them. We’ve also discussed case studies of some initial public offerings, such as an investment in Tiffany & Company twenty-five years ago. I thought it might be interesting to look at another fast-growing business that was reasonably priced at the time when it first opened its shareholder rolls to outside investors, raising money from the public markets. 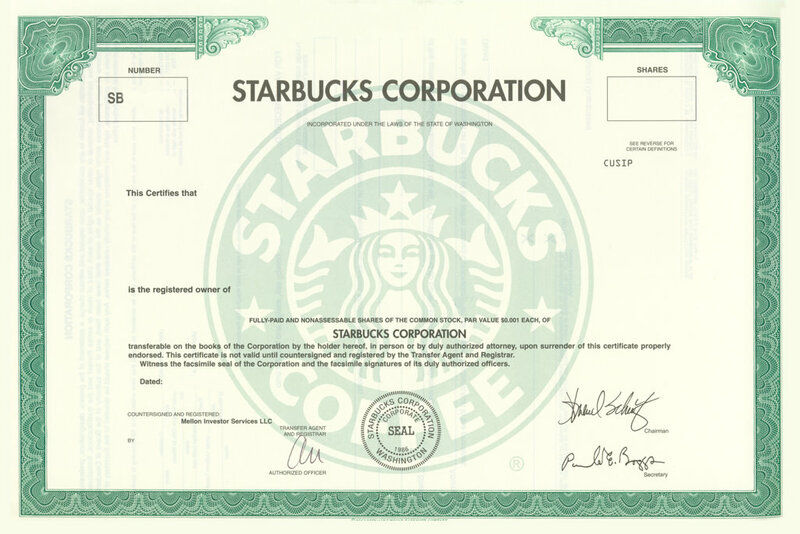 In this case: The Starbucks IPO. An investment of $100,000 in the Starbucks IPO twenty years ago would be worth $10,388,082 today. Plus, you would receive $128,000 in cash dividends per year. The Starbucks IPO has been one of the most successful instances of a mid-size business coming to market and then performing exceptionally well for owners. The coffee giant rolled stores throughout the United States, generated lucrative returns on capital, branched into grocery products and partnerships, and recently instituted a dividend. What counts, though, are the specifics. How much wealth would an owner of the business have enjoyed as a result of writing a check for shares back during the IPO? 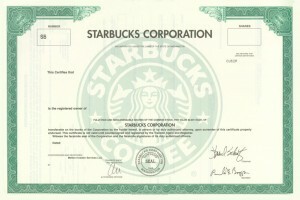 How Much Would a $100,000 Investment In the Starbucks IPO in 1992 Be Worth By 2012? Imagine that is June of 1992. You have $100,000 in savings and you decide to invest it all in the Starbucks IPO. The coffee company is successful, but still relatively small; certainly not ubiquitous as it is now. The stock was sold at $17.00 per share and you were able to buy 5,882 shares, which you stuck in a brokerage account and ignored for the past twenty years. Management didn’t pay dividends until recently, instead opting to reinvest the profits into expansion due to the high return on equity the firm generated. [mainbodyad]First, your 5,882 shares would have grown to 188,224 shares as a result of five 2-1 stock splits. At a market value of $48.76 per share, your stock would be worth $9,177,802 as of this afternoon. On top of that, since the dividend began in April of 2010, you would have received cumulative cash dividends of $6.43 per share, or $1,210,280 in cash total. That means between capital gains and dividends, your $100,000 investment grew to $10,388,082 in twenty years. That is a compound annual growth rate of 26.13%, crushing nearly everything that has come or gone since. 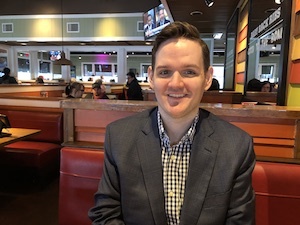 Even today, you can expect cash dividends of nearly $128,000 getting deposited into your checking or CCDA account each year; a figure that is likely to grow as the company expands, raises prices, and buys back stock in the future. The mathematics of huge winners are interesting. Imagine you put together a portfolio of $100,000 back in 1992 but you split the cash into 20 stocks, each of which received a $5,000 investment. You put 19 of the stocks in boring, safe, blue chip stocks that grew at 8% compounded annually, turning $95,000 into $442,791. Then, you put the last $5,000 into Starbucks, which is now worth $519,404. That single high performer is valued more than all other 19 stocks combined. An investment in Starbucks bought during the IPO now generates more in annual cash dividends than the original cost basis. Even better, it raised your overall compound annual growth rate from 8% to almost exactly 12%, an enormous, statistically meaningful improvement. It wouldn’t have mattered if many of your original holdings went bankrupt – you would have still generated real gains in purchasing power after inflation and taxes. One of the lessons I take away from case studies like the Starbucks IPO is that it might be a good idea to always have 10% to 20% of your portfolio available for high growth opportunities with good moats that are still reasonably valued. Even if you miss a few, a single winner can shower down riches beyond any other investment you’ve experienced, dragging your compounding rates up along with it. Personally, I have a soft spot for businesses with a market capitalization of less than $1 billion, a scalable business model that can be replicated, high returns on non-leveraged capital, and a shareholder friendly management. A situation like that doesn’t guarantee success but it exponentially increases the likelihood of making money, provided you aren’t paying 80x earnings or something stupid. The rewards, financial and psychological, of finding a young business early in its growth and buying into it, watching it turn into something amazing, are extraordinary. You only have to have one or two of these in your business career to change your life forever. You don’t even have to take stupid risks by overcommitting to the stock. As our illustration points out, even a 5% position doubled the value of the overall portfolio. The final lesson is: When the underlying business is healthy, do not panic. 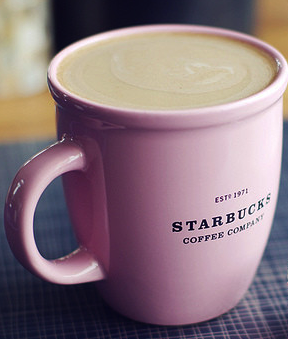 During the Great Recession, Starbucks shares lost a staggering 75% of their market value. You would have watched a $1,000,000 investment collapse to $250,000. Just because other investors are doing something stupid (paying too much or paying too little) doesn’t mean you have to participate. Focus on the long-term prospects of the enterprise relative to the price, collect the cash you are sent in the mail, and avoid being an idiot. That is all that is required to compound money. Also, have enough seeds planted that you won’t lose ground if one goes bust, which will inevitably happen from time to time.